of hundreds of young children. Since Ik is the last member of a waning subgroup, its documentation and description may provide key pieces to the puzzle of East African linguistic and ethnic prehistory. The complexity of this prehistory is embodied in Ik grammar which shows many traits shared with languages in both Afroasistic and Nilo-Saharan language families. And so a full grammatical treatment of Ik can shed some needed light on the classification of other language groups. non-canonical passives, and an irrealis-realis modal distinction. 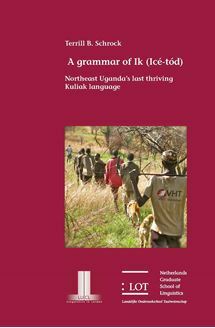 Lastly, between the grammar and lexicon is provided a collection of five culturally relevant Ik texts as holistic examples of Ik in its natural context.